Planning a Passover seder always feels challenging. 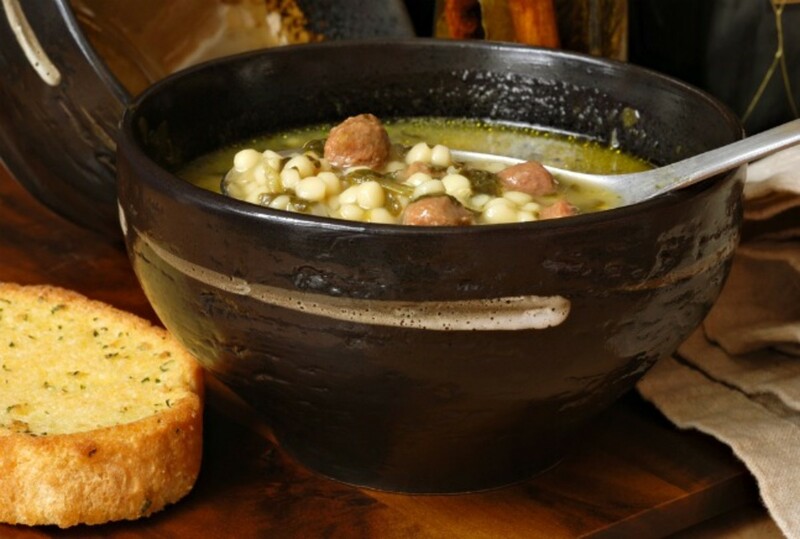 There are traditional foods you must serve and there are dishes passed down from generation to generation in every family that dictate a large portion of the meal. Still, if you are on this website you probably are looking for something new, maybe a unique twist or something completely different. Thus is the challenge for me as I attempt to help you with a couple menu ideas. 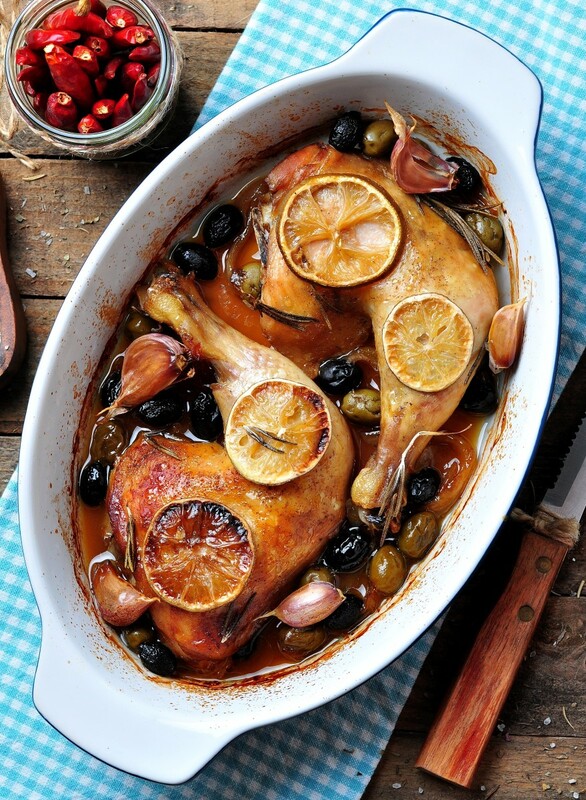 The good thing about those living outside of Israel and keeping two seders is that you have the chance to do both traditional and non traditional menus. With that in mind here are my suggestions for this year&apos;s Passover seders, noting the extra challenge of Shabbat. 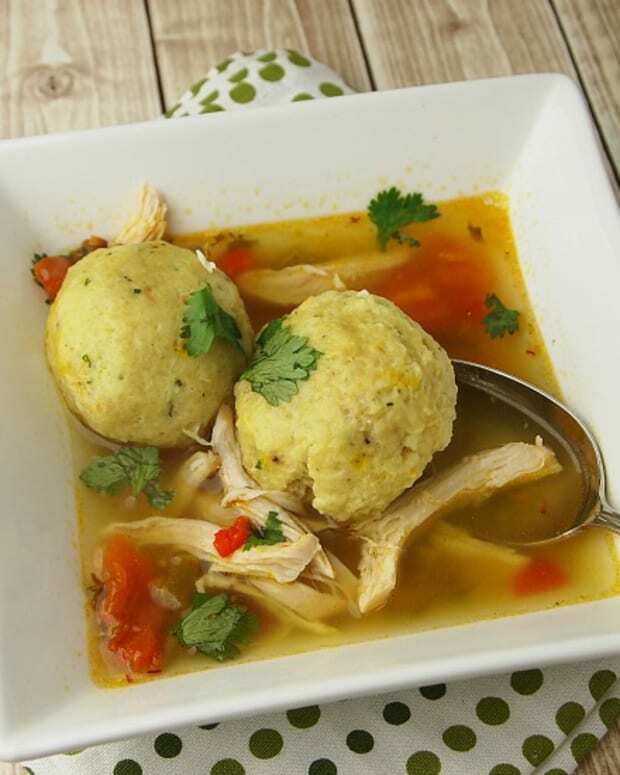 For my family the Seder must begin with matzo ball soup, I have tried several variations from Egg Drop Soup with Matzotons to Spanish Soup with Sofrito and Saffron Matzo Balls, but I always start with the basic Matzo Ball recipe, just like Jamie shows in this video. 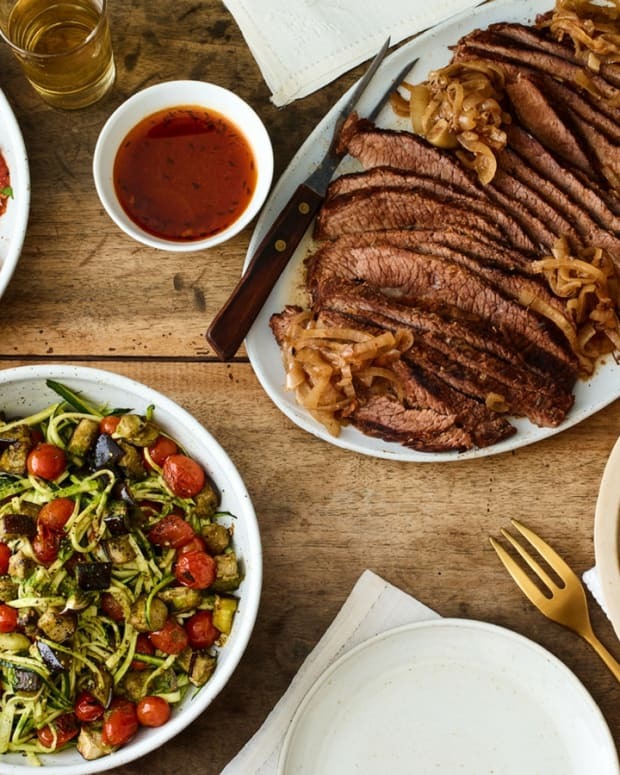 Usually I don&apos;t feel obligated to make two mains, but on Passover I make an exception, it is the cooking holiday after all, and there are often a lot of mouths to feed. 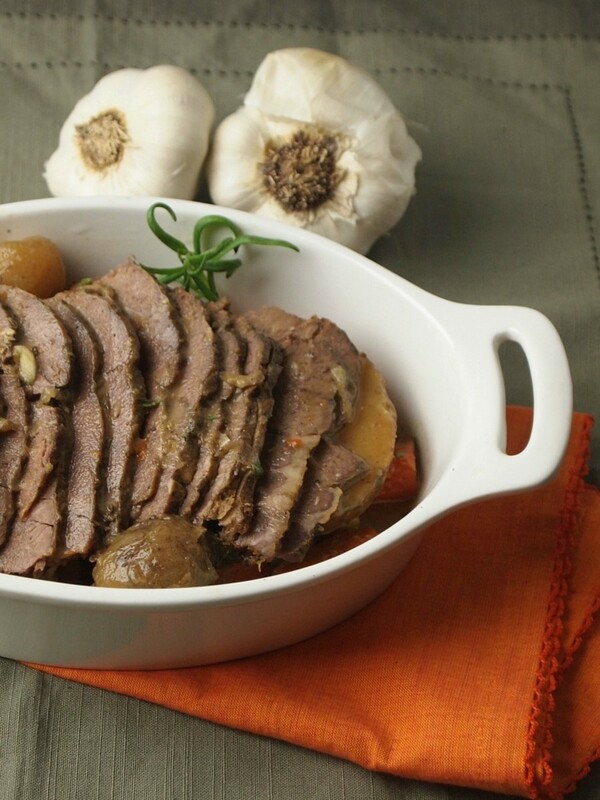 Brisket is on everyone&apos;s Passover menu and for good reason. It actually gets better if you make it in advance and it reheats perfectly. I love this very garlicky version. 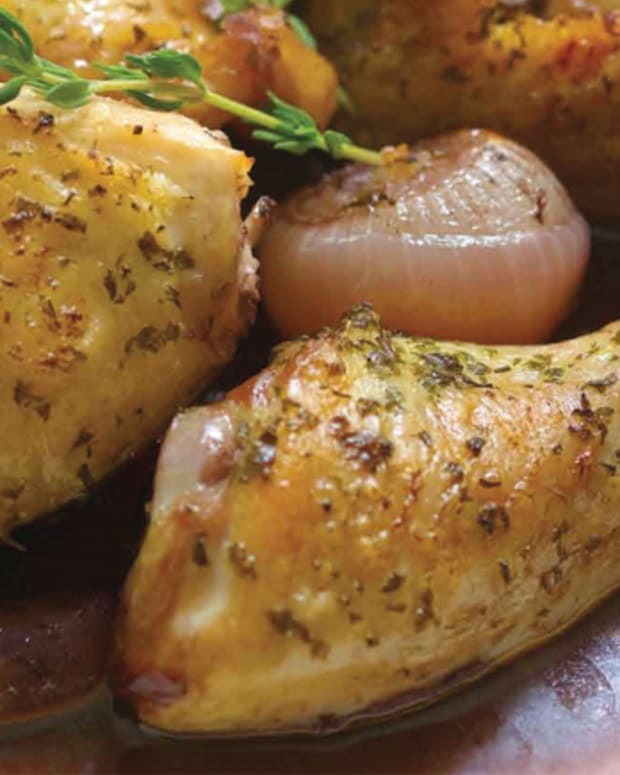 A saucy baked chicken is best for an easy dish that sits well. 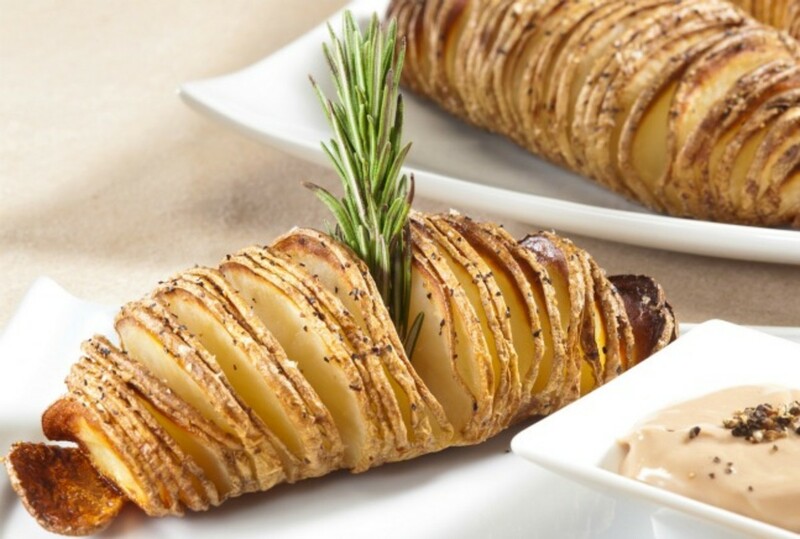 Hasselback Potatoes are a fun side dish that steps away from the often served potato kugel, for a more elegant side dish. 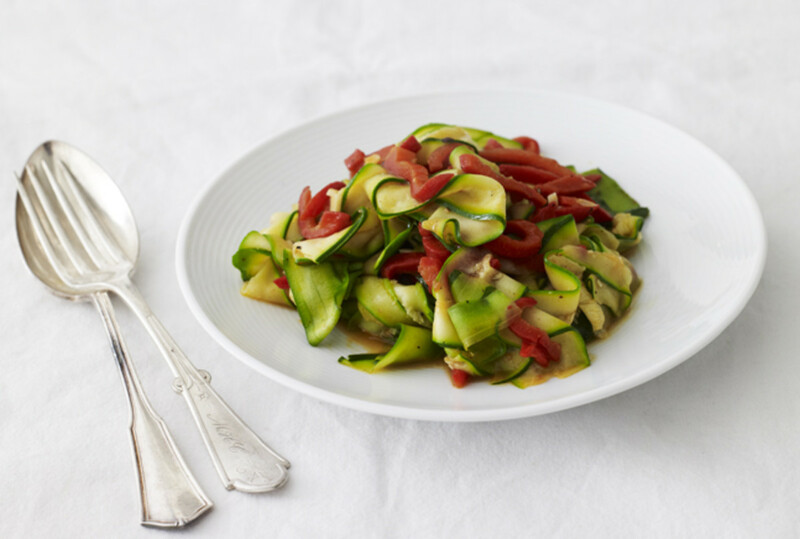 Use a vegetable that pops with color and maybe even add a salad for an extra side. 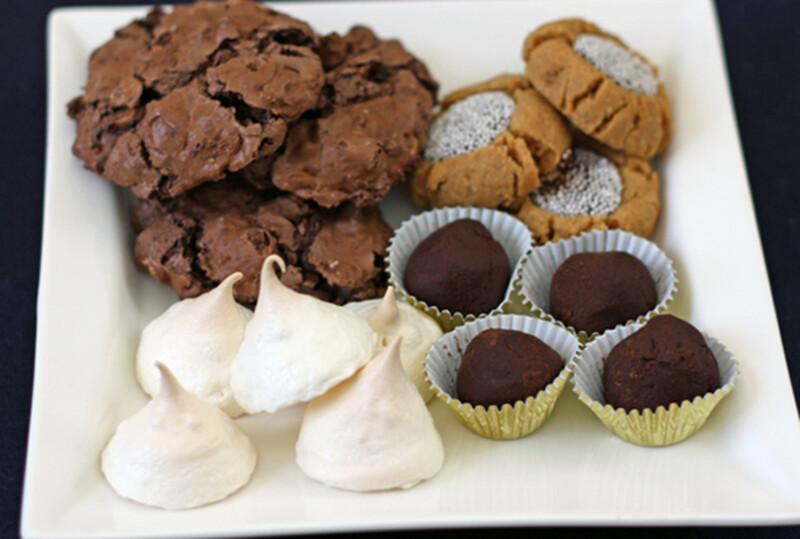 A lot of people feel the need to make cake for the seder, but I really prefer this platter of desserts idea. No one is happy with one dessert anyways, so go with a few easier light desserts. For the second menu I like to go a little more ethnic. If you have been following my menus you can see I have had a Chinese Seder and a Spanish Seder and this year I am going to try an Italian Seder with a variation on this menu, see the notes to go Italian with me and hopefully next year I will share my final recipes. 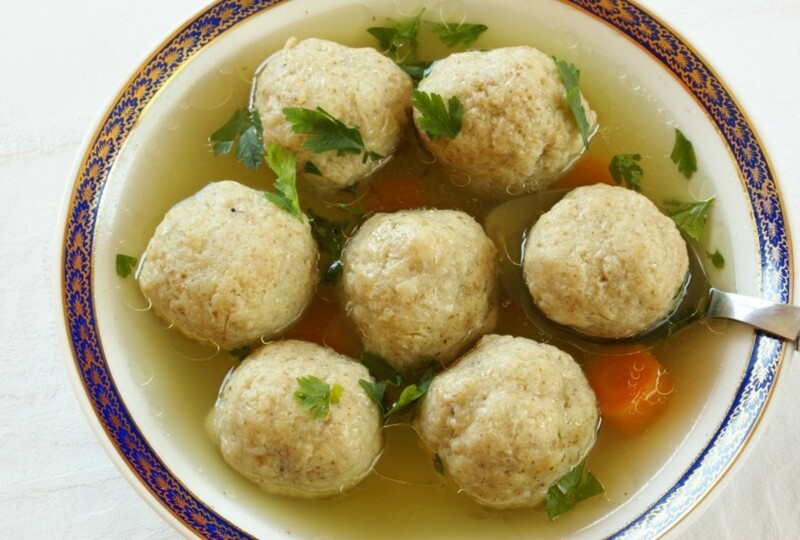 To start my Italian feast I will do a riff off of Italian Wedding Soup, but instead of meatballs I will use Matzo Balls and of course no pasta, but I will try the traditional egg threads. 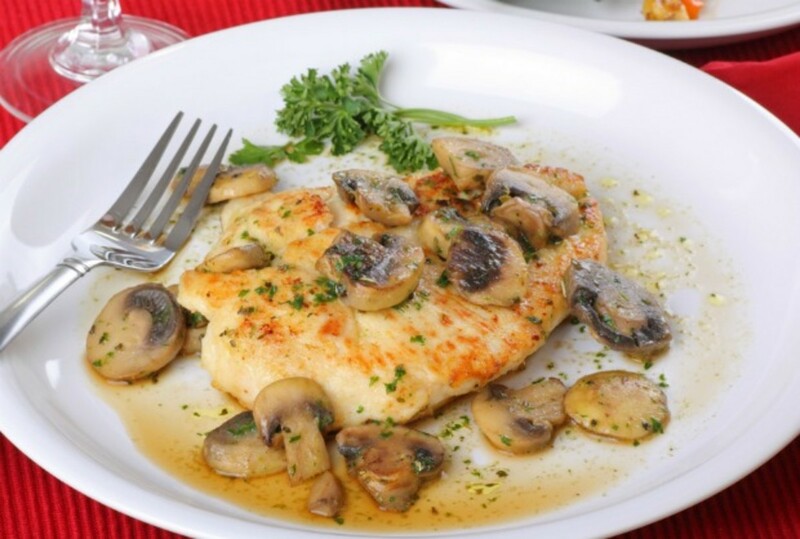 The perfect Italian chicken dish that you can make with potato starch instead of flour. 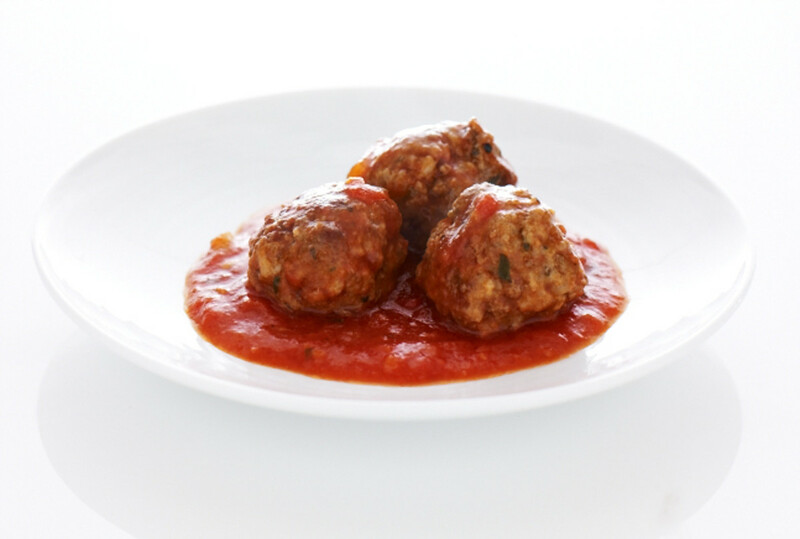 Italian meatballs are a no brainer that everyone will love and can be made affordably. 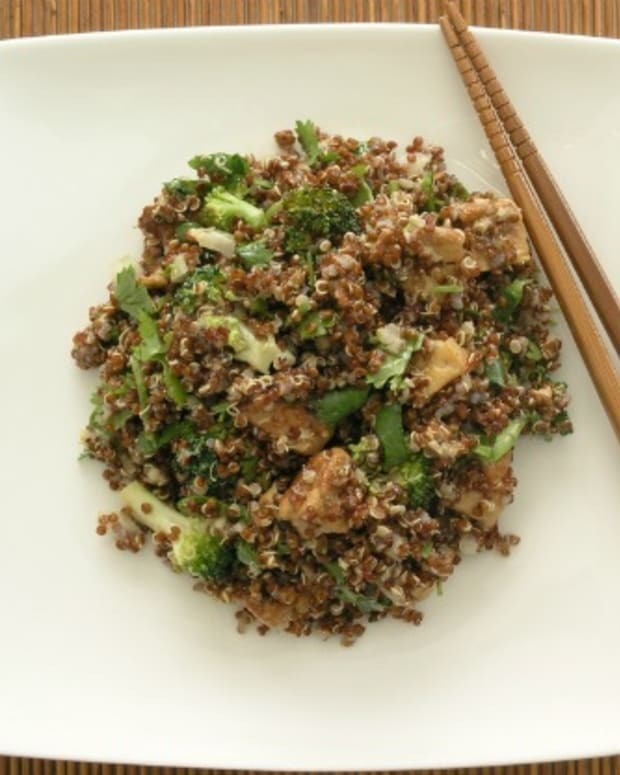 Just sub the breadcrumbs for matzo meal. 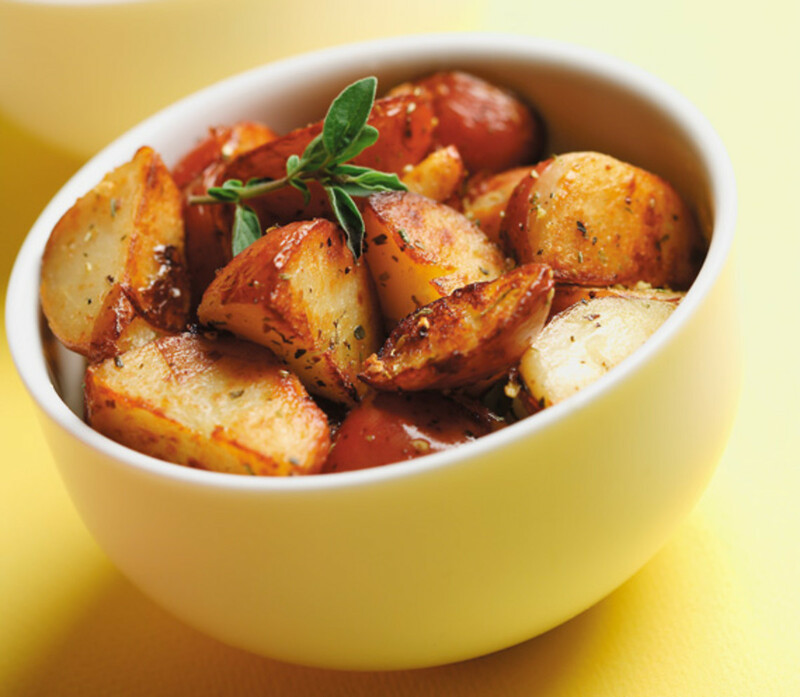 Roast up some simple potatoes. 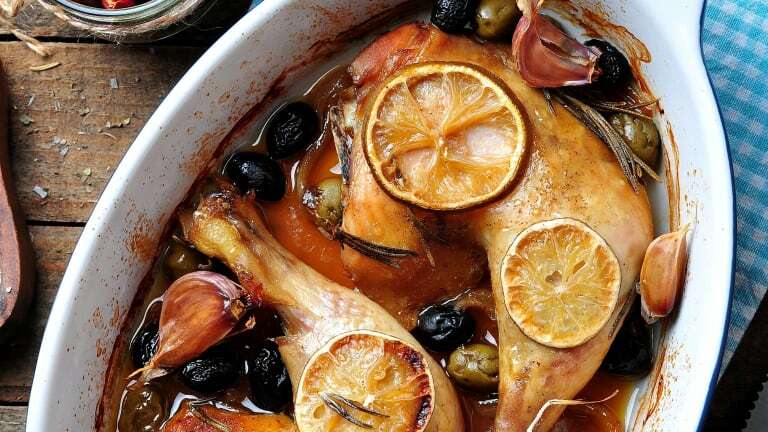 You can even make these fresh on Saturday night, while you are talking throw them in the oven. Saute the spinach just before serving, but make the garlic chips ahead. 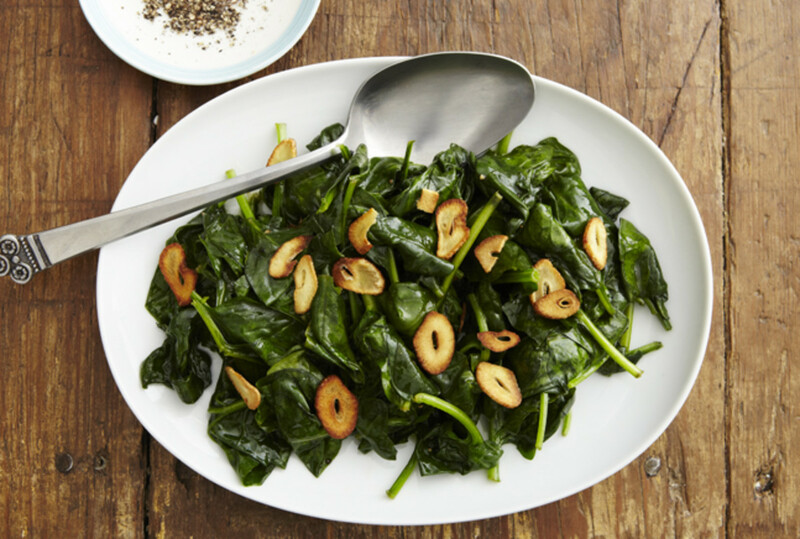 If you want to add a Caesar salad without cheese, try this Kale Caesar With Oyster Mushrooms. 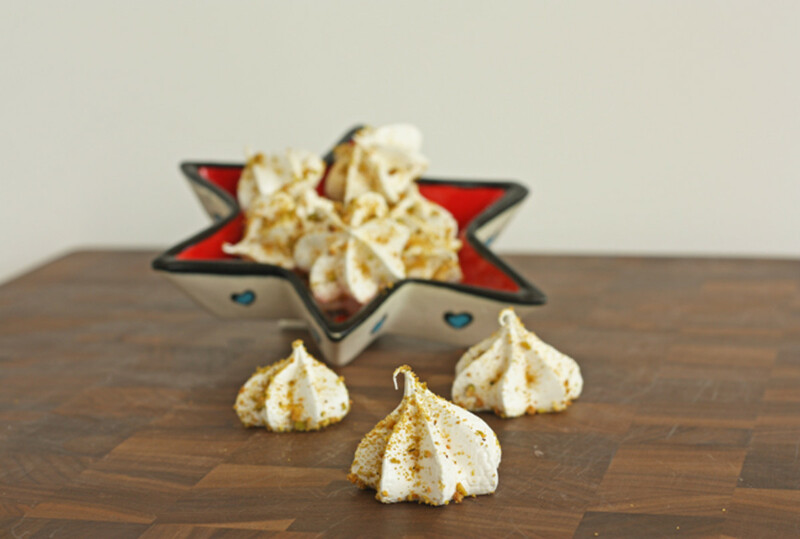 Any version of meringues are the perfect ending to this Italian seder. 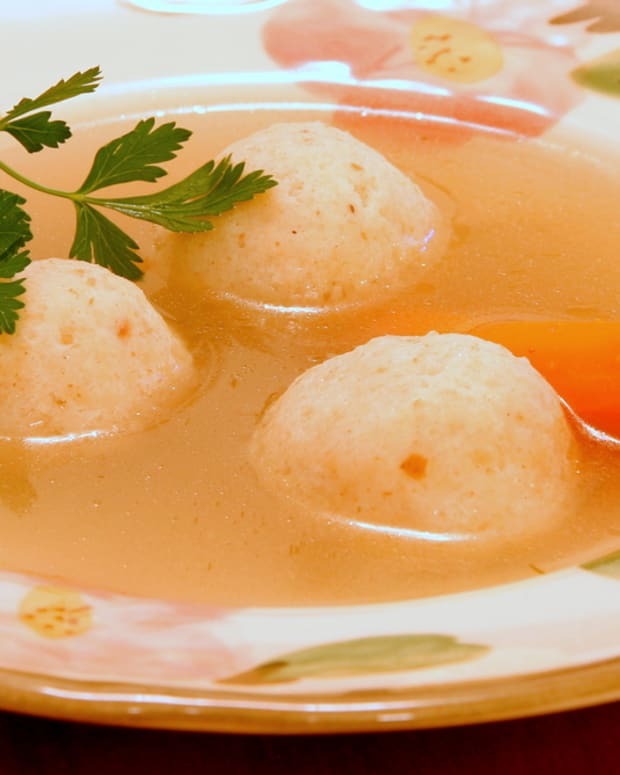 What are you serving for seder?